Whether you opt for graduates, established designers or create a style of your own, contact Aylesbury Box Company for advice on printed packaging options, costs and advice. Whether online or in-store, retail forecasts suggest that those brands which offer personalised services and products will thrive in the coming year. Could stylised printed retail packaging enable your brand to remain relevant and exciting in 2019? Leading brands often work in collaboration with guest designers for product launches and commemorative events. Retail packaging with designer style makes the goods more desirable and can boost sales. Guest designers could create personalised printed packaging that really hits the spot for your target audience. What’s more, this clearly shows your commitment to supporting the next generation of designers; it’s CSR where both parties benefit. 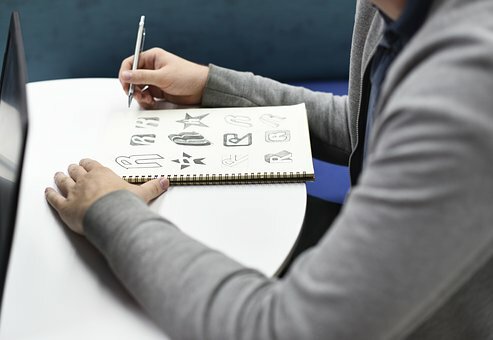 Small companies and start-ups are unlikely to have the budget or connections to work with leading designers, but this shouldn’t get in the way of inspired printed packaging. There are plenty of graphics graduates who are looking to build their portfolio. They need a champion who will allow them to work on a genuine brief – could that be your organisation? Collaborative working gives them the opportunity to see their artwork on the shelves, whilst you benefit from their creative skills. How about a new designer to work on packaging design for every season? Can you think of a better way to keep your product packaging fresh and appealing? If you wish to nudge your top-level products up a notch or two, or attract a new audience, a new approach to packaging design could work wonders. It may even be viable to create personalised packaging for a niche group of loyal customers. That would certainly be a talking point that could help promote your brand. If you have any doubts the skills of newly qualified designers, take a look at the site of one of our customers, RedBubble. In 2006, this company was found in Australia, with the aim of becoming a platform for independent artists to sell their printed designs to the public. Over a decade on, the site is a delightful collection of original and quirky designs, which are printed onto quality products. If you have someone unusual to buy for, the ideal gift could be lurking on RedBubble. You may have concerns that an art graduate has no previous experience of designing for printed packaging. If this is the case, simply put them in touch with Aylesbury Box Company and share your brief. We have considerable knowledge of packaging design and print and we’re happy to provide tips that will help them to create solutions that work. Nothing gets printed until you sign it off, so there is no risk that a novice designer can damage your brand identity. We suggest that if you follow this path, you clearly inform the designer on cost limitations. This helps to set the boundaries for packaging design ideas, such as limiting the colour palette, which is a valuable learning experience. If the end results are a little exuberant for your budget, we can advise on subtle amends to achieve a similar result using a more economically viable process or finish.